The Northern Well 3 in 1 Saddle Cover Hitch is a unique solution which combines a saddle cover, saddle bag and saddle hanger in one simple to use product. It can be easily carried around and hung on the horse box, around the stable, in the car, or where ever else you don't want to put the saddle on the floor. It has a waterproof outer fabric in black, a soft lining, coloured carabiner hooks, handle and shoulder strap. 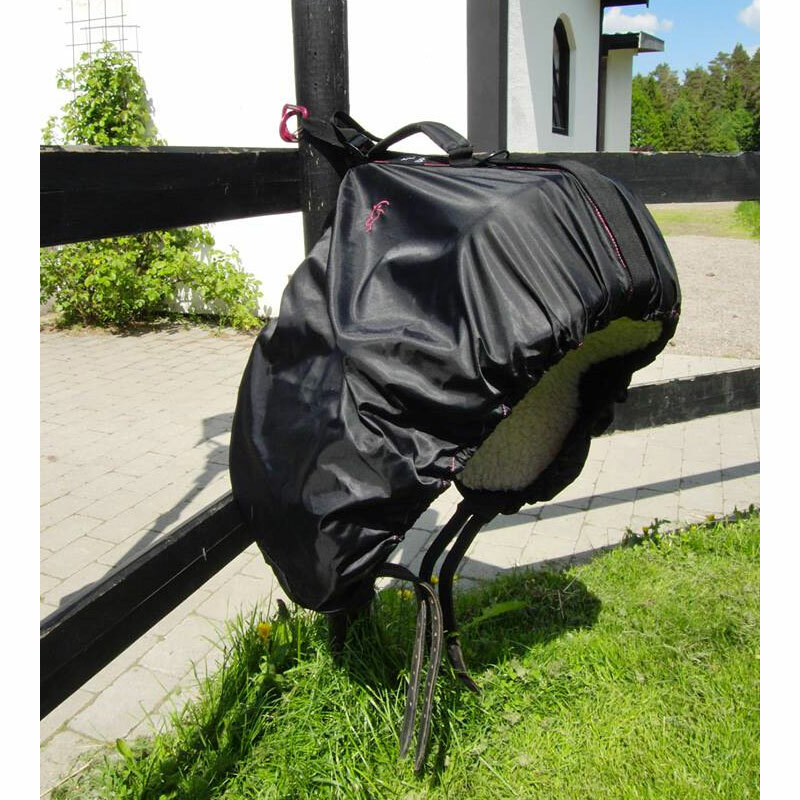 There are currently no questions for Northern Well 3 in 1 Saddle Cover Hitch - be the first to ask one!